The death toll in the incident has reached 20 to 30 until the night of 8 June and the injured persons nearby villages of Maundaw Township have been taken to Maungdaw hospital. The onset of the violence on 8 June was that the Rohingya Muslims who returned from the mosque yesterday afternoon started throwing the stones to the Rakhine houses and buildings in Maungdaw Township, according to the Eleven Media reporter whose house was also blazed amidst the violence. As the riots could not be controlled, the police forces took security measures in the town where Muslims are majority and Rakhine people are minority. Rohingya mobs were setting fire on the nearby villages of Rakhine ethnics, said a Buddhist monk who resides in Maungdaw Township. 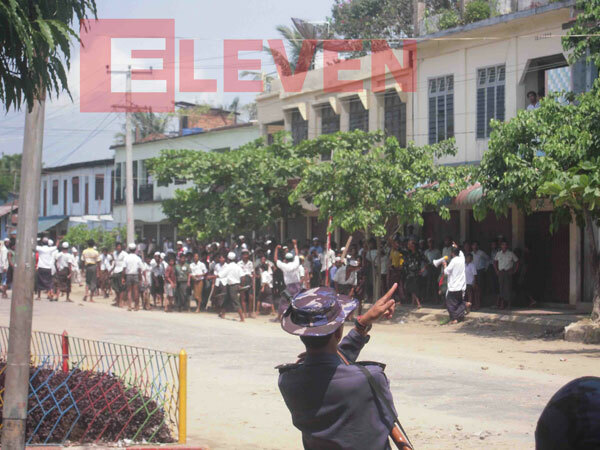 Due to these unrests, the State-owned media aired the announcement of Section 144 of the Criminal Procedure Code (Curfew) which states people are not to go outside between 18:00 pm and 06:00 am in Maungdaw and Buthedaung townships. In contrary to the reporting of foreign media, the army did not fire at the mobs, but just warning shots to the riot to help the security measures of police forces, according to the EMG reporter in Maundaw Township where the clashes are happening. As the Rohingya mobs are approaching to enter the town and nearby villages, the security forces are taking places there and conducting warning fires to them. “The situations in Maungdaw Township are very serious. The problem should be solved by legal procedures. We do not accept anarchic actions. Security forces concerned should settle the problem systematically. We must control the situation not to spread. If the problem becomes bigger, it is possible to result in series of cases. I warned the possibility of problems in Maungdaw after the case of Sittway. These attacks would seriously threaten to Arakanese people not only in Buthidaung and Maungdaw townships, but also in some areas with minority of them. The government has responsibilities to calm down the worries of these people. In the future, the security of border area in Rakhine State should be taken by Rakhine people, and that of Shan State by Shan people. Paramilitary forces should be organized to safeguard the security of respective areas. The government should allow more security plans. We will also submit these plans to the parliament. If this incident is similar to massacre of 1942 which was intentionally plotted, the persons behind the curtain are responsible for the consequences. Security persons, international figures and religious leaders should not neglect the case. 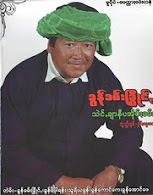 They should cooperate in solving this problem,” said Chairman Dr. Aye Maung of the Rakhine Ethnics Development Party.